Online gaming can be a fascinating experience. For years we grew up playing on our Nintendo Entertainment System, Super Nintendo, Play Station, Sega, Dreamcast, Gamecube, Wii, or any other known console. However, the Internet appeared, and it all changed. Nowadays, people of all ages are playing video games, but they are doing it mostly online. For that, they don’t necessarily need a console, although they are coming with network connectivity available to keep up with recent times. 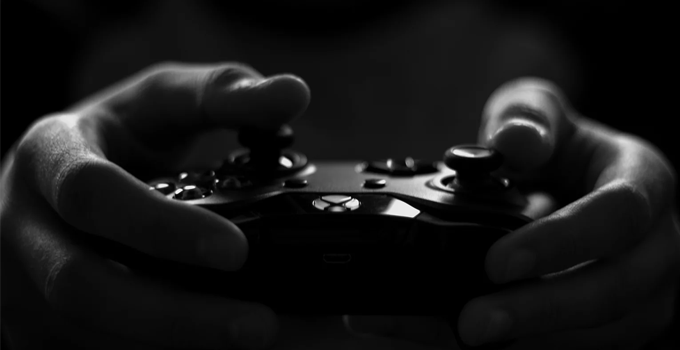 To play online, you need a good Internet connection and a proper platform: a PC, a laptop, a tablet, a console, or even a smartphone can work. Playing games online comes with several caveats. You are subject to lose performance due to lags and slow connection speeds, which may mean that you miss your target, receive a goal, or get shot depending on what you are playing, of course. Another possible scenario is being the target of a DDoS attack. It means “Distributed Denial of Service,” and it is when people or entities intentionally attempt to overload another person’s system by sending several simultaneous requests or increasing traffic with the intention of congesting the victim’s network and affecting performance. Such an offence can have consequences in the gaming world. If you are a gamer, you will want to reduce latency or ping times. To do it with a VPN, it has to be a very good one. Virtual Private Networks, or VPNs, are content encryption tools that hide your IP address (the one element that can make your location public around the web) and traffic, rerouting them to remote servers to protect them from hackers, DDoS attacks, malware developers, government surveillance, censorship, and other unwanted threats or scenarios. In this article, we will refer to the best free VPN for gamers around the world. If you are planning to play online games, you will want your Virtual Private Network provider to at least maintain or even reduce your ping/latency times, avoid DDoS attacks, to be compatible with most consoles, devices, and operating systems, and to have a broad server network. ProtonVPN is a company that focuses on privacy but is one of the best free VPN for gamers. It can help you bypass restrictions to access more titles, and it has four plans, one of which is free of charges. It is easy to use, highly compatible, and the features’ quality increases with the plans and prices. Overall, it is a perfectly usable option that has some limitations (especially the free version, but that is to be expected,) but is one of the fast-risers of the industry. 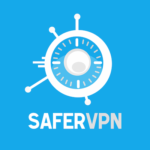 SaferVPN costs $10.99 per month but has a free trial and 30-day money back guarantee, so guess what? It is one of the best free VPN for gamers all around the world with its 700 servers in 34 total locations. It has automatic secure Wi-Fi, unlimited bandwidth and speeds, a Google Chrome browser extension, easy to use apps, and other features that will enhance your gaming experience. Not able to unblock Netflix in free version. Only US server is available. Gamers love IPVanish because it is one of the fastest VPN in the industry. While it may not be one of the easiest to use brands out there, it provides an excellent overall service, with almost 1,000 servers in 60 countries and a boatload of features, such as DNS leak protection, a kill switch, and others. IPVanish prevents deep packet inspections by Internet Service Providers, secure your access to public Wi-Fi hotspots, and protects your IP address with the best 256-bit encryption in the market. 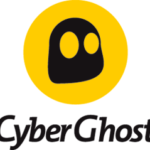 CyberGhost is among the best paid VPN option for gamers because it fiercely protects your IP address and your network from DDoS attacks and other unwanted scenarios. It also has a kill switch, seven simultaneous connections, OpenVPN, 256-bit encryption, and 2,960 servers in 59 nations. In conclusion, online gaming is a popular activity that is trending up, so in a world of hacking and DDoS attacks, you will be better off securing your connection and digital assets with one of the best free VPN for gamers.